Google is big into machine learning, and one of the product areas that's benefiting from that is photography. You may recall Google said it would use math to fix lens flare on the Pixel, and now it's rolling out a photo scanning app that seems to do something similar. The new PhotoScan app will let you turn your old printed photos into digital ones with the power of computational photography. Plus, the editing tools in Photos are getting better. It's weird that PhotoScan isn't just part of Photos, but Google loves multiple apps. 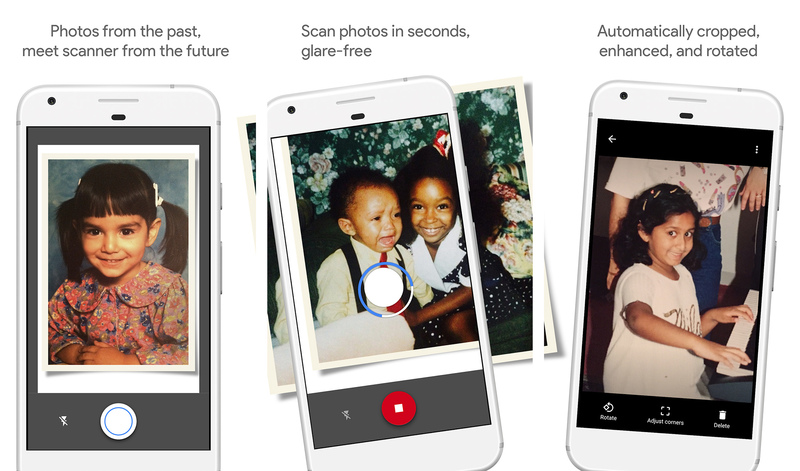 PhotoScan uses your device's camera to scan physical photos, but it's not just snapping a single photo and processing it. PhotoScan has you move the phone around so it can see the photo from multiple angles. It's able to pick out "feature points" as anchors as it assembles the frames into a full photo. This also lets it mathematically remove the glare from reflected light on the photo. There's a video that explains the whole process in more detail below. If you need to make some tweaks to your scanned photos (or any photos), improved editing tools are rolling out in the Photos app today. There's a new auto-enhance option, new filters, and "advanced" editing tools. Auto mode is pretty self-explanatory—it makes photos look more accurate. If you want something stylish, there are 12 new filters that leverage machine learning to mesh better with each individual photo. As for those advanced editing controls, you can control the exposure, contrast, white level, highlights, and shadows. The new Photos editing tools will start showing up today, but it's not clear if an update is necessary. The PhotoScan app is available right now on iOS and Android. We've also got the APK if you want to sideload it.